Great news, everyone! We now know that the security breach that led to the theft of approximately 40 million debit card numbers at Target is linked to an outside vendor utilized by the big box retailer. Target said Wednesday that investigators have found that hackers stole credentials from a vendor to access the retailer's systems and pilfer about 40 million debit and credit card numbers as well as personal information for another 70 million people. Spokeswoman Molly Snyder declined to comment on further details, such as the vendor's identity or how the hackers stole the credentials, citing the ongoing nature of the investigation. 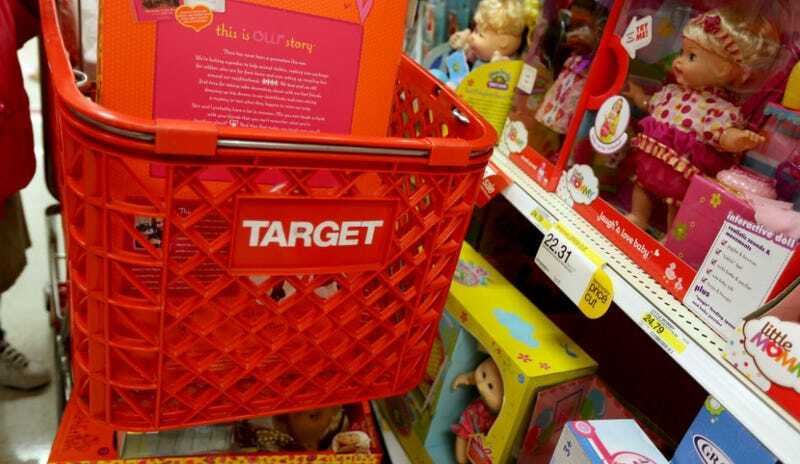 Snyder did say that since Minneapolis-based Target Corp. confirmed the breach on Dec. 15, it has taken extra precautions such as limiting or updating access to some platforms. Attorney General Eric Holder has said the government is totally committed to tracking down the guilty party behind this theft. So take that, you credit card stealing dicks! Yeah!